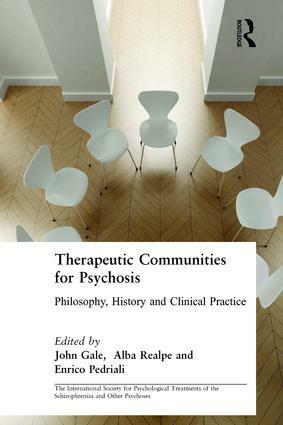 Therapeutic Communities for Psychosis offers a uniquely global insight into the renewed interest in the use of therapeutic communities for the treatment of psychosis, as complementary to pharmacological treatment. Within this edited volume contributors from around the world look at the range of treatment programmes on offer in therapeutic communities for those suffering from psychosis. alternative therapies and extended applications. This book will be essential reading for all mental health professionals, targeting readers from a number of disciplines including psychiatry, psychology, social work, psychotherapy and group analysis.